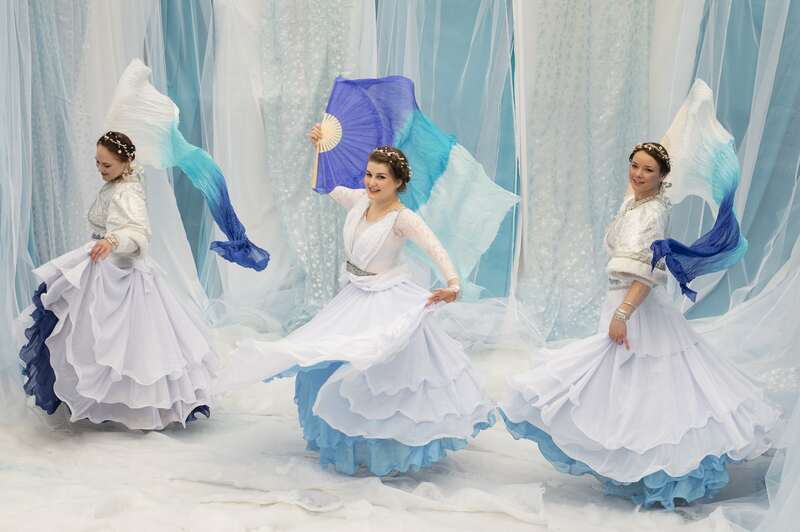 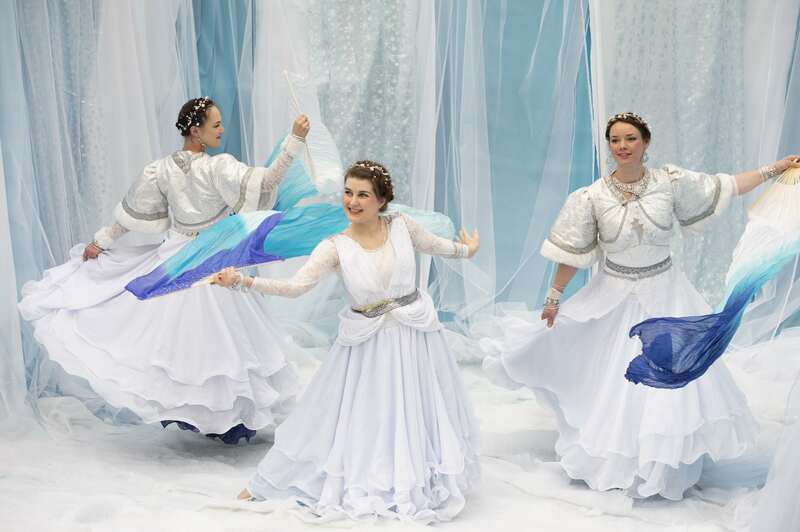 Fluttering in a twirl of silk fan veils and swirling skirts, the Winter Dancers glitter with thousands of crystals and hundreds of glowing lights! 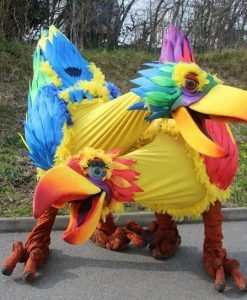 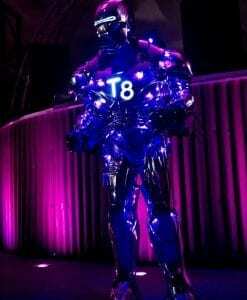 Perfect for Meet & Greet, Walkabout and Parades. 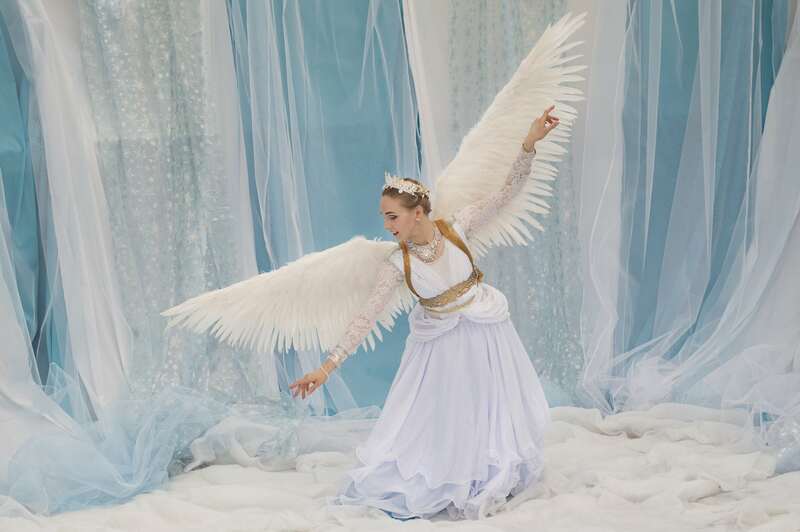 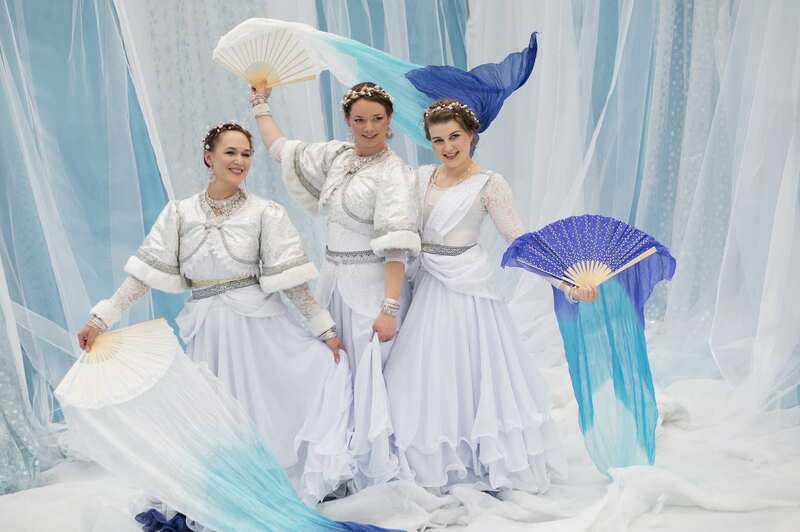 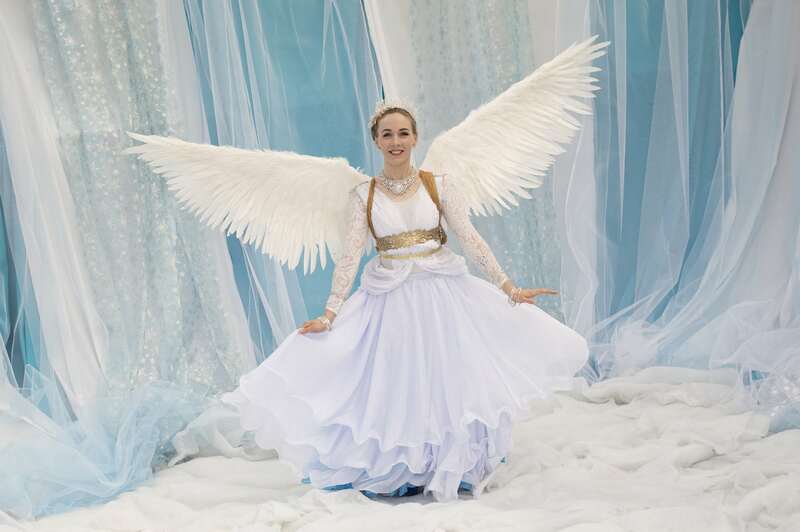 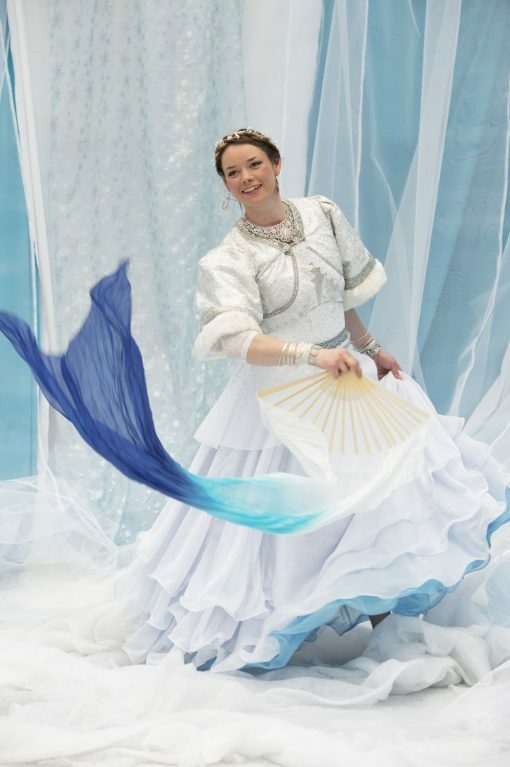 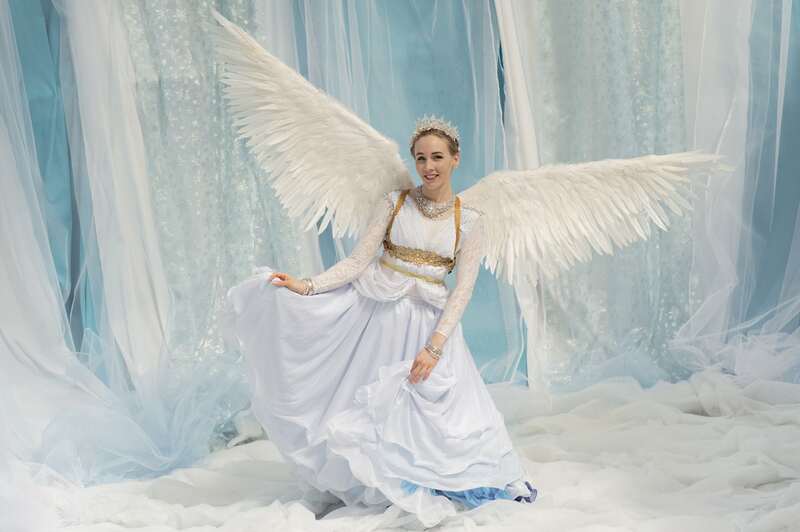 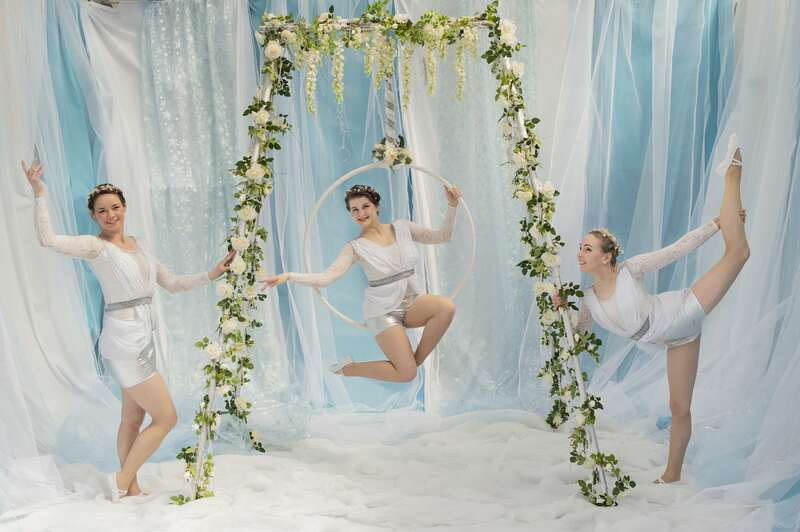 Featuring Winter Wonderland Aerialists with beauty, grace and a little circus magic, suspended in a frame twined with white roses and shimmering icicles, our Winter aerial nymphs will entrance your guests with their beautiful displays of skill and flexibility! 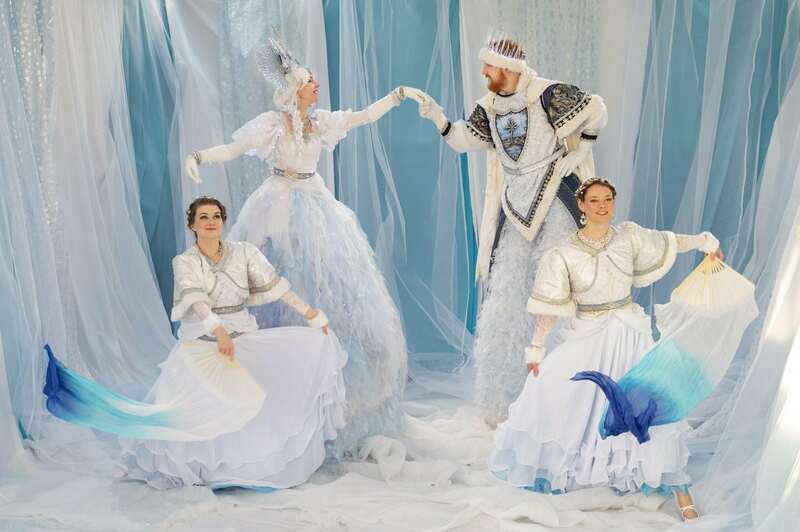 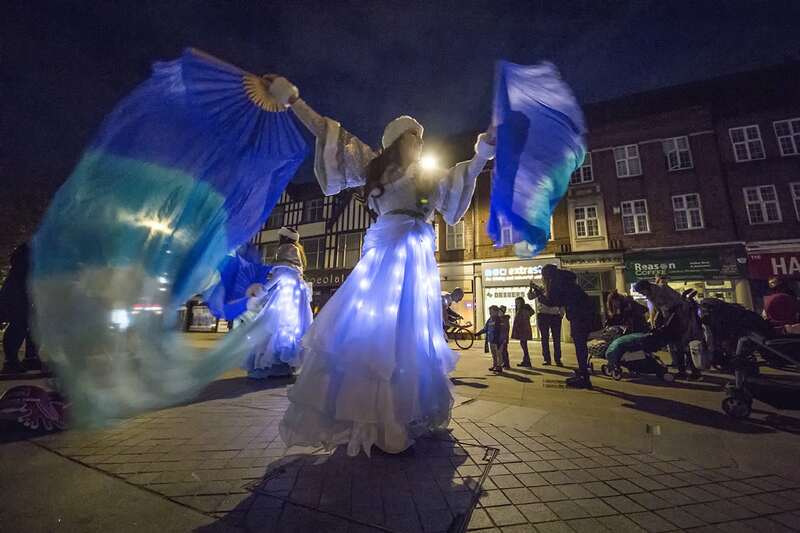 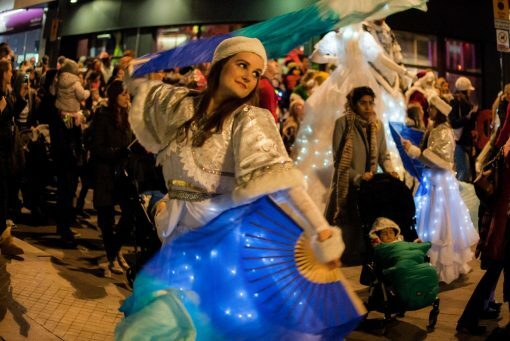 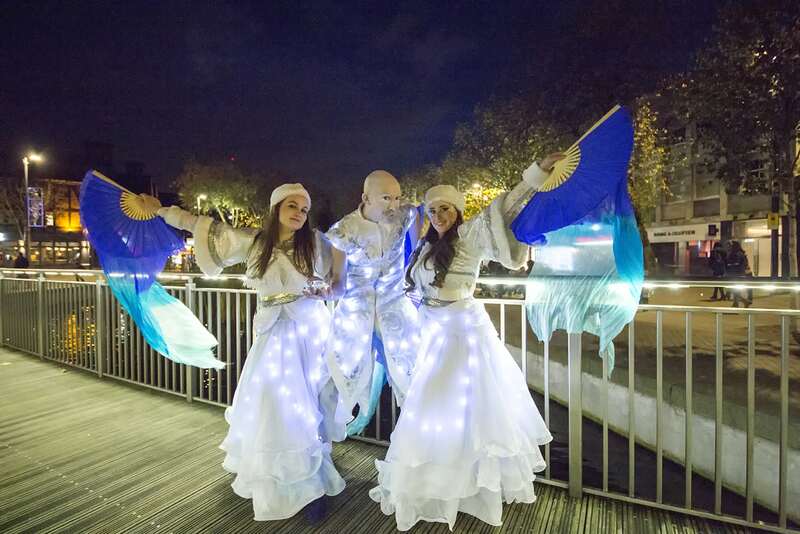 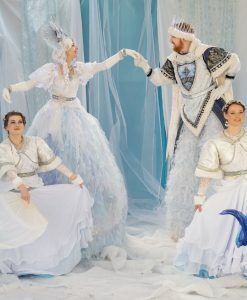 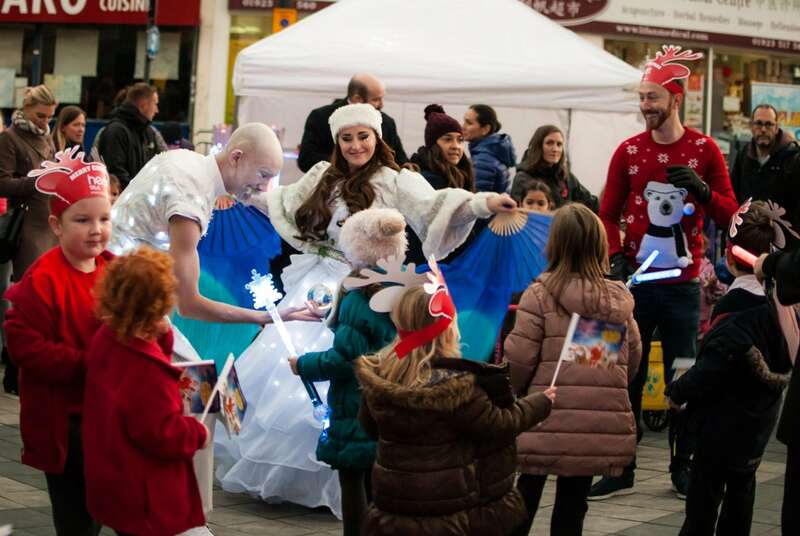 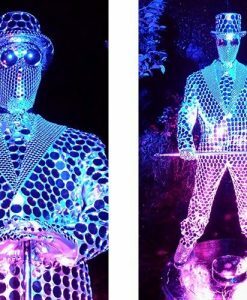 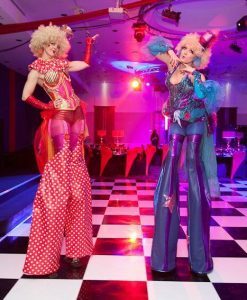 This festive act also features stilt walkers the Snow King and Queen and ground based Winter Dancing Sprites, these sparkling sprites bring joy to everyone from the youngest child to the most sophisticated adult.